Ever wondered what the backstory for the film ABCD 2 might be ? 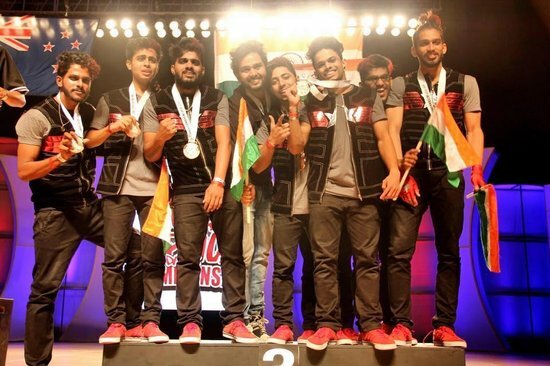 It’s the dance group Kings United who won the bronze medal on the global stage World Hip Hop Dance Championships in 2015. Founded in 2009 by Suresh Mukund and Vernon Monteiro, the group was called Fictitious Dance Group who went on to win India’s Got Talent Season 3, Entertainment Ke Liye Kuch Bhi Karega and Boogie Woogie. Director Remo D’Souza took his inspiration from the dance group when he made ABCD 2. Like every success story, the group had their own hardships even after they reached their zenith. Problems within the group led to a break up. Their story became popular after the movie was released. The break happened after that, but like they say once you have a taste of what it’s like to be up there on the stage, it’s hard to give that up due to things that seem extremely tiny and petty when you look at the larger picture. The group kicked back into action and after being the finalists in the World Hip Hop Dance Championships in 2012, they bagged the bronze medal in 2015 putting India on the map. They now have their own academy called Kings United Kingdom Of Art in Mumbai.